Wyeth Bowles liked his life. Riding hither and yon suited him. Being a bachelor suited him, he had more than enough of a family with his siblings. An innocent quip after a wedding may have set the apocalypse in motion. One long look at the banker’s daughter, knocks Wyeth off his high horse and into love, but the trail to happily ever after isn’t easy. While the danger to life and limb is an everyday thing for an Express Rider, it’s the danger to his heart that has Wyeth worried. These tender feelings for the quiet newcomer could just change his life for good, but also for the better. Ottille Weston was used to moving about. Her father was determined to prove himself to the rest of his family and make a name for himself in the world of banking. Arriving in Three Rivers, Tillie worries about making friends, but there was something about Wyeth’s humor that draws her out of her shell. Most of her family had always been so cold and aloof, and being an only child was so lonely. 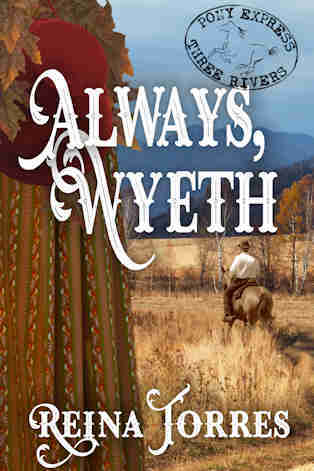 Wyeth’s outgoing manner has her craving more and more time with him. But her father’s determination to make her an advantageous match just might break her heart. 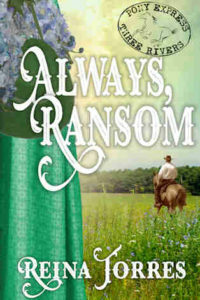 Smitten by the young woman, Wyeth is stunned to learn that there’s another who may have a claim on her heart. Good hearts and bad decisions never seem to be far apart when love is on the line. 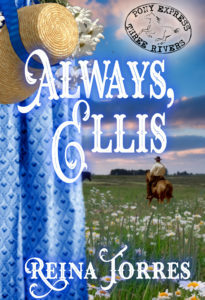 Will love run away with their hearts or will Wyeth and Tillie be pulled apart by circumstances out of their control?